In no particular order, below are list of links to Chelsea supporters groups around the world. If you would like your supporters group added to our list, please contact us here. 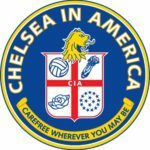 Chelsea in America (CIA) – Umbrella supporters coalition for all US based groups.